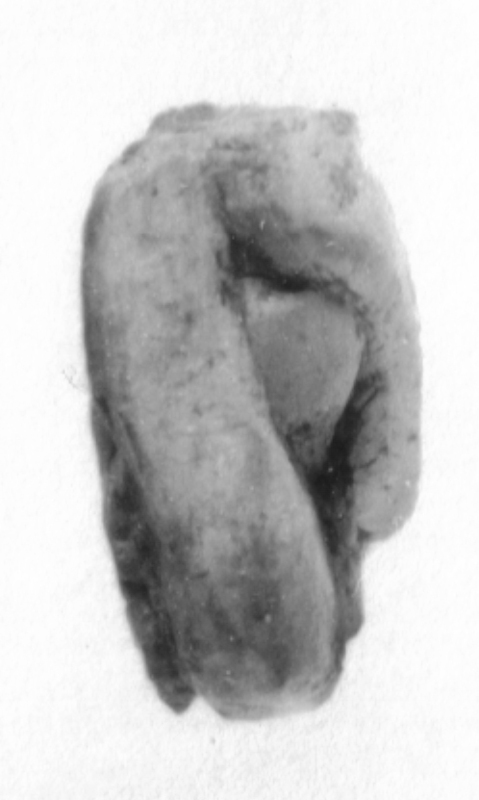 Description Ivory animal statuette fragment consisting of front of head. Eyes are almond shaped and set almost vertically in front of brow. A ridge runs down muzzle. Muzzle is curved and has a line of incision beneath front edge. Remains of horizontal incised line with vertical lines behind visible on top of head at break.